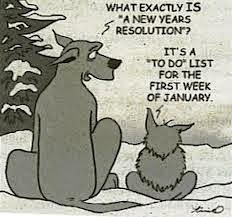 MASABI: Resolutions - to make them or not to make them? That is the question, my friends! Resolutions - to make them or not to make them? That is the question, my friends! According to a recent blog by Psych Central, only about 8% of individuals who make New Year's Resolutions actually keep them. Which leads to the question, how many people actually make New Year's Resolutions? I kind of used to. I kind of still think about it, but haven't really ever followed through. What happens to those who make them and don't keep them? Are they setting themselves up for failure? Possibly.... Not meeting one's goals for anything can determine our happiness or satisfaction quota. We may experience feelings of sadness, dissatisfaction, sorrow, disappointment, or anger. So why would someone set up goals that are unattainable? Or ones that won't be followed or adhered to...Psychology research states that individuals want to do good. It is human to improve one's lot in life. That is a healthy phenomenon. So the #1 goal is to create an attainable goal. Losing weight is not a good goal. It is not measurable. What? Lose 1 lb.? Or 10? It needs to be measurable and needs to have a timeline. A better example of a good goal would be "I want to lose 5 pounds by the end of January." That's doable. That's realistic. Chances are I will be able to follow that stated goal much better than to simply say, "I will lose 25 lbs. by next week." Totally and utterly impossible (for me, anyway)! So look around you and examine your life - what do you want to improve? Read more? Not spend as much money? Write those goals or resolutions in terms which will help ensure success. Give a timeline as well as a reasonable number and see if you can make this year the best by creating workable resolutions that will help you create a more joyous year!